Most of us, research shows, unleash our inner critic when we have a setback and hit a bump in the road. People are highly self-critical even if the hardship is brought on by aging, illness or other inevitable challenges of life. Recently, scientists such as Dr. Paul Gilbert and Dr. Kristine Neff, have suggested that being self-compassionate makes us more likely to overcome hard times with greater resiliency. 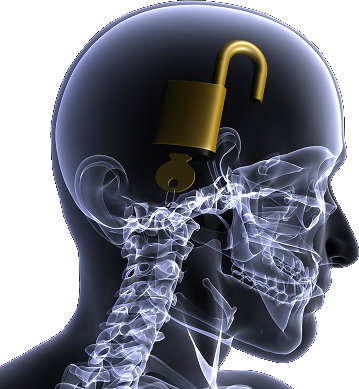 Brain scans show that when we are self-critical, our threat-protection system is activated. Fueled by neuro-adrenaline, we either fight, flee or submit in the face of a threat such as having made an obvious mistake or judging somebody as better than us. The brain areas of self-inhibition and punishment get activated, which leads to a shut down situation, like putting ones self in jail. Opposite to the common belief that self-criticism motivates and spurs you on, research shows that self-criticism inhibits you from courageously taking action. Self-compassion activates the mammalian care-giving system which runs oxytocin and intrinsic opiates and moves us to be affiliated with others and take care of the young. This system allows you to be self-compassionate. We offer support and kindness to ourselves, like a wonderful friend or grandparent. When we feel distressed by an illness, a worry, a rejection or an argument we either choose the system which will punish us – or kindly remind us that we can brush ourselves off … and try again.